When you walk through the big portal into the quadrangle with its cobbled pavement, you delve into a different world. The castle from the renaissance is still preserved in its origin in most parts. Behind the thick walls you can feel the history, enjoy the absolute quietness and gain energy for your workday life. The rooms inside the castle have a big variety of furniture and are all furnished with love and passion. The beauty can be found in several details. Old, half-timbered and white-washed walls and the stone floor are simple, but beautiful. Different views and changing light makes you discover stunning corners every time you look around. What you find in Breitenlohe is not a holiday, as you can find it in any holiday-magazine. Everything is individual and just fitted to you. There are different apartments in the castle, which give you place to retire and relax. Let yourself be enchanted by the unique atmosphere. Please feel free to contact us for further information and your personal arrangement! 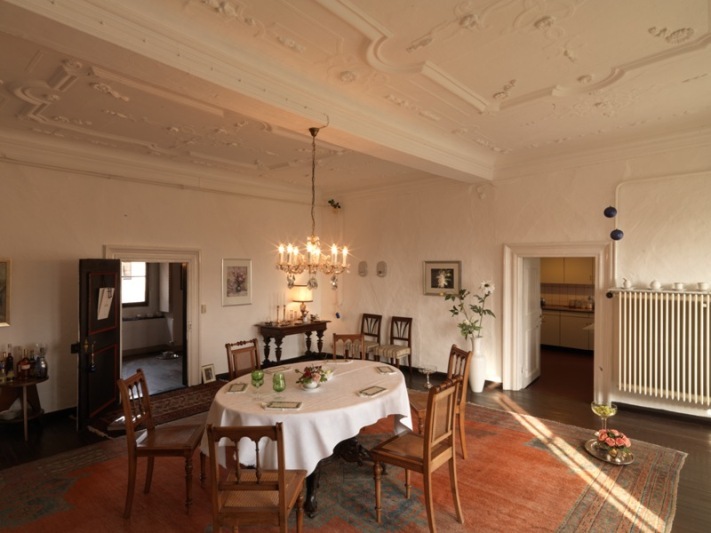 Write to: info@schloss-breitenlohe.de or give us a call at: 0049 – 5351 – 595066.